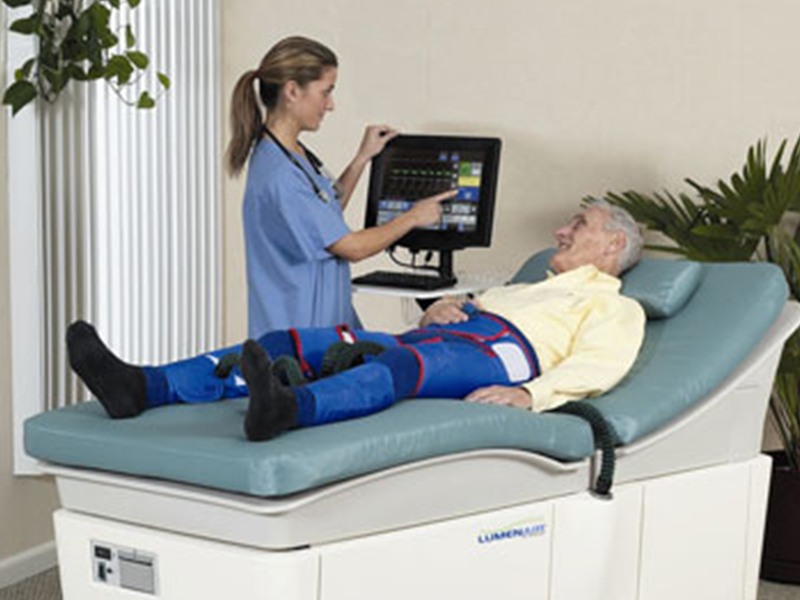 EECP (Enhanced External Counter Pulsation) is a FDA approved treatment system for multiple circulatory disorders. EECP is an external system of compression cuffs that wrap around your legs and pulse in sync with your heart rate to double your circulation. EECP increases heart output and decreases your heart's workload. We are pleased to offer EECP therapy that is physician supervised by Scott Falley, MD. 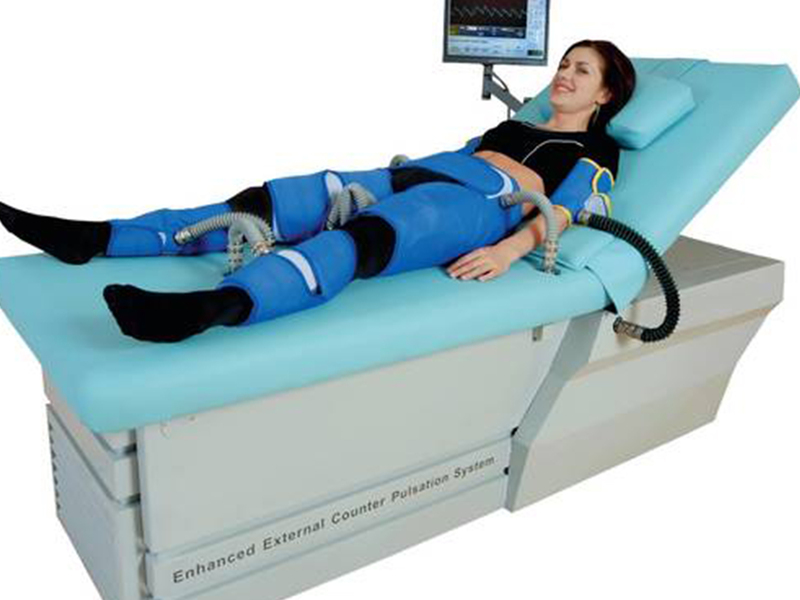 What are the benefits of EECP Therapy? It's not surprising that EECP increases blood flow throughout the body during treatment, but what is truly remarkable is the long-term benefits. When patients with angina undergo a full course of 35 one-hour treatments, they often say goodbye to chest pain and are able to avoid some invasive procedures. 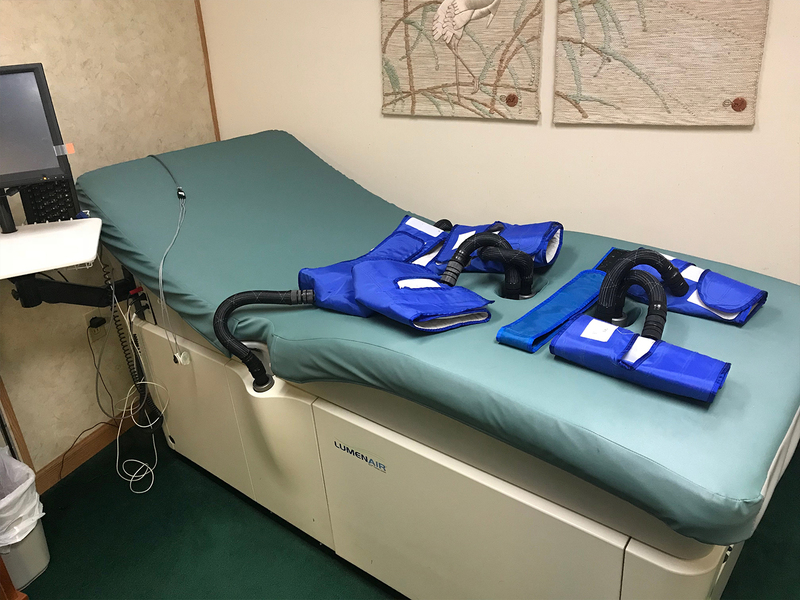 EECP has also shown improvement in other circulatory problems like erectile dysfunction (ED), renal failure, and peripheral vascular disease; and frequently takes fewer sessions for results. In essence, it is a passive exercise system. What is the cost for EECP therapy? The maximum out of pocket cost is $4000 for recommended heart protocol. Preventative sessions can be offered as requested by patient or prescribing practitioner. Insurance (Medicaid and Medicare) may assist in coverage in many situations. This cost is significantly less than a co-pay for bypass surgery! Recently I talked with an acquaintance who had heard me talk about EECP but she didn’t think she or her husband needed it. THEN-while out of town her husband had severe chest pain from a heart attack, Bypass surgery (CABG x3) came the next day and now he will have to take the next two months off work. He owns his own business so he’s concerned it will survive without him there. PLUS-he had to be life-flighted to a hospital that does bypass surgery which added another $60,000 to the bill. He has good insurance but his out of pocket expenses will be around $75,000! Oh how I wish he would have done EECP for just $4000! NOTE: These statements have not been evaluated by the Food and Drug Administration. This service is not intended to diagnose, treat, cure, or prevent any disease.